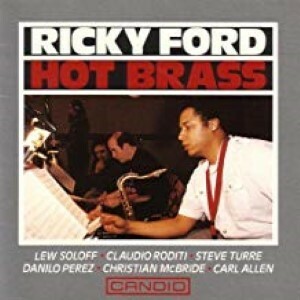 This album gives more than a hint of the full scope of Ricky Ford's talent. Had he been born 40 years earlier he might well have been a principal soloist and arranger with one of the classic black swing bands. This session, recorded in 1991, took place on the eve of what would have been Duke Ellington's 92nd birthday and finds saxophonist Ricky Ford with a pocket brass section (Lew Soloff and Claudio Roditi on trumpet, Steve Turre on trombone) and his saxophone. Ricky wrote for a big little band, employing three and four part harmonies in the sort of way that Ellington, Strayhorn and Benny Carter did in the past. What will surprise is the strength and originality of his compositions, the skill of his arrangements and the exuberance of his tenor saxophone.